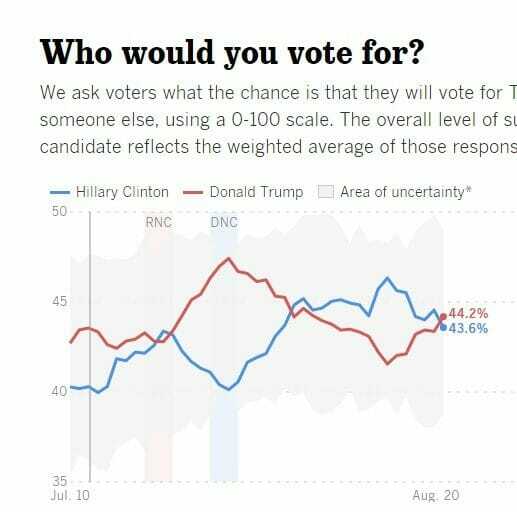 Donald Trump took the lead from Hillary Clinton today in the LA Times Daybreak Poll. Trump leads Hillary 44.2 to 43.6. 13.6 percent of black voters now support Donald Trump. In the last ten presidential election cycles the highest black vote share for a Republican was 12% for Bob Dole in 1996. Trump also leads significantly with working class voters. More here on Trump’s outreach to black voters.